When it comes to finding an Easter Cake Recipe, we Italians have so many options that we can talk and talk for hours. Baking a cake for Easter is common in Italy, especially in the Central and Southern part of the Country where instead of calling them “cakes” we use to call them “pizza”. In reality, they’re cakes, Easter Cakes Recipes every family bake. The one I’ve decided to share with you is very traditional, different from the Dove, another type of Easter Cake, and extremely flavourful. 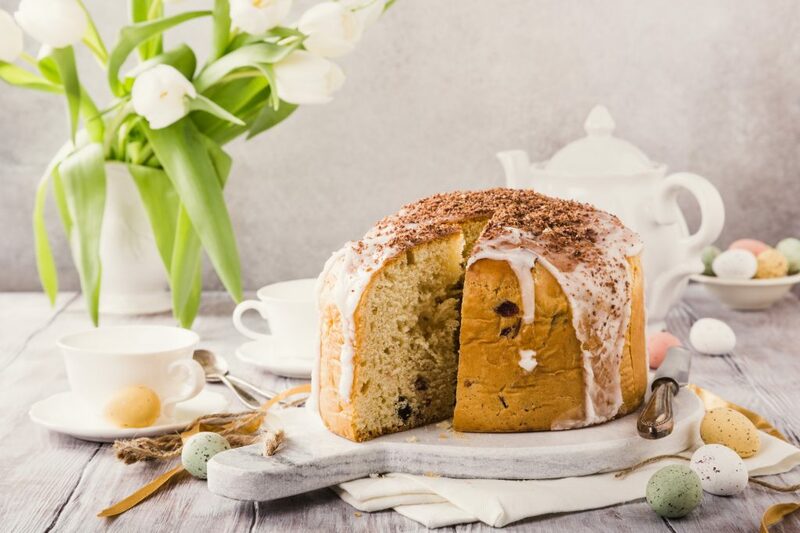 Every region, every family, every person within a family has its own recipe but the same rule applies to all of them: the Easter Cake must be high, well risen, soft, fragrant and yellow. Very similar to a panettone cake, but to be enjoyed right during Easter. Inside you can find candied peels, aniseeds, chocolate or simply nothing; the surface can be left at it is or glazed and covered with sprinkles. 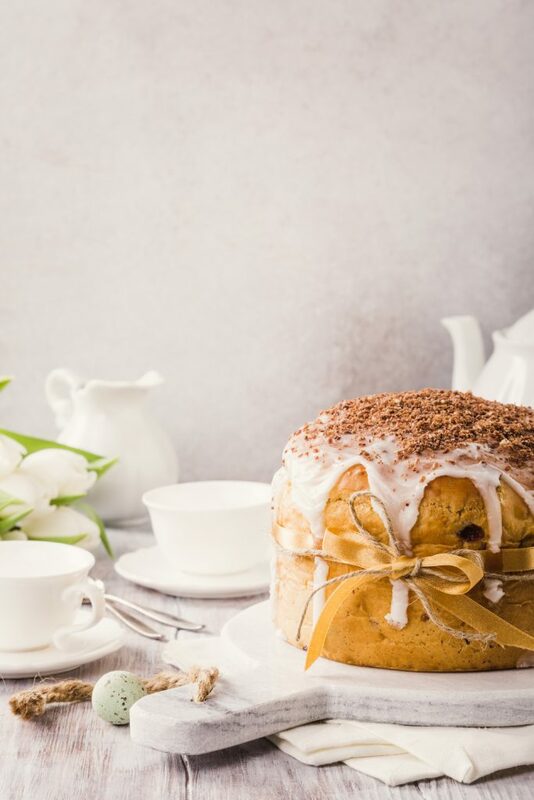 In short, you can indulge yourself at will, to bring to the table a truly unique sweet Easter cake. In the recipe that I propose to you I do not use candied fruit but I leave all the burden and honor to the aromas that, wisely mixed, make this sweet Easter Cake excellent both when accompanied with desserts and when accompanied with charcuterie. This Easter Cake, even though it has so many ingredients, does not require so much processing and preparation time as long as you use a very strong flour (Manitoba flour is perfect, self raising flour is completely wrong) and let the dough rest, after having it worked perfectly, for the needed time without hastening the procedures. This is the recipe for preparing a sweet, high, soft, fragrant and delicious Easter Cale to serve for Easter and Easter Monday. You can also bake this amazing Italian Easter bread to accompany your Easter dinner. Turn off the oven, open the door and let the sweet pizza cool inside, then take it out of the oven and let it cool completely before cutting it. If you want to decorate your Easter Cake, once it is cold brush it with a beaten egg white and sprinkle with colored sprinkles. You can also prepare a quick glaze by mixing egg white, sugar and lemon juice and sprinkle the surface with this icing; add colored sprinkles (or chocolate powder like I did) and leave the icing to set before cutting.